Take your bread and sandwich-making to the next level. 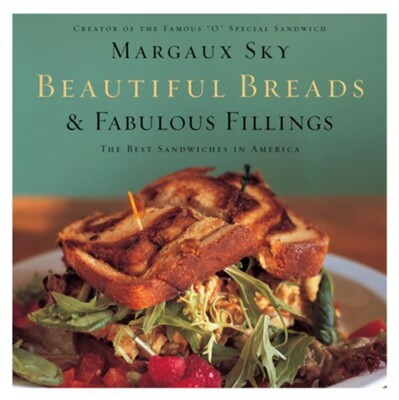 Margaux Sky, whose Art Café and Bakery in San Luis Obispo has drawn major media attention for her wonderful fare, now shares the secrets of her success. Beginning with basic white, wheat, and sweet bread dough, Sky shows you how to make the best breads and sandwiches in America. In Beautiful Breads and Fabulous Fillings, you'll find over 150 full-color photographs and over 140 recipes for these simply divine loaves, sandwiches, fillings, and accompaniments. Margaux's stunning combinations of flavors and textures will have your friends and family clamoring for more. I'm the author/artist and I want to review Beautiful Breads and Fabulous Fillings: The Best Sandwiches in America - eBook.